For some months now, a small group of local people from around the Woodlawn area of east County Galway has been having meetings (often informal) for the purpose of trying to find ways of co-operating with anybody who might be interested in restoring Woodlawn House - which has a very long, and a very interesting history that is closely connected with the Lord Ashtown title (held by the Trench Family). 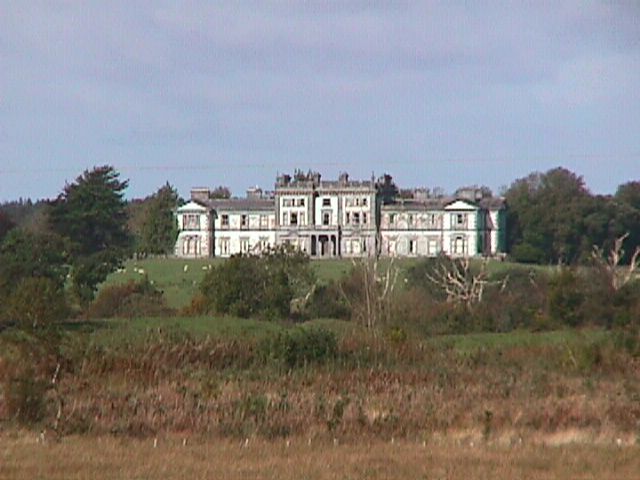 (2) Following an article in connection with Retirement Villages which appeared on the front page of the Galway Advertiser Newspaper (September 6th 2001edition), one member of the local group contacted Dr.Bill Grealish; and, it seems that Dr.Grealish feels Woodlawn House might be suitable for his business purposes. (3) All members of the local group feel that Dr.Grealish would be an ideal person to develop Woodlawn House. It is thought that in addition to turning the property into a Retirement Village, he (and his associates) might also be able to add further buildings for the provision of other medical services on the grounds of the estate - which is thought to cover approximately 115 acres. Such services could include (for example) a facility for looking after people suffering from Alzheimer's disease. There are obvious implications for the local employment situation; and for attracting extra visitors into the area - which all existing local businesses could expect to benefit from. (4) The Heritage Council have also been contacted by a member of the local group; and it is understood that a provisional arrangement has been made for a lady from the Heritage Council to visit Woodlawn House on October 18th 2001 - with a view to helping out with a restoration plan. (5) It is thought that a large amount of money would be needed to restore Woodlawn House (probably several £millions); and, that this is likely to be seen as a big deterrent by potential buyers. (6) The group has received several reports which suggest that government grants are much more likely to be given to potential buyers for the restoration work if there are clear signs of local interest, local involvement, and local benefits. As an aid to making progress, the local group is thinking about forming a registered company (with limited liabilities). This would be one of the kind referred to in the Companies Act of 1963.
a) To help any eventual buyer that might emerge to get the maximum benefit of the government grants which are understood to be available for heritage restoration work involving very historic buildings (such as Woodlawn House). b) To help raise money for the project from public sources (if necessary). THE WOODLAWN HOUSE RESTORATION TRUST LIMITED. At the most recent of the group's formal meetings (held on Saturday October 6th 2001), it was decided that it might be best to keep the two functions outlined under a) and b) above separate from each other - through the use of two different registered companies. This is largely because of the differences in complexity between the two functions: and it is felt that if one company was used to try and carry out both of these functions at the same time, there is a major risk it might get completely bogged down. i) Making arrangements for the Heritage Council visit which has been provisionally planned for October 18th 2001. It is understood that the lady in question has indicated that she would like to meet the local people who are interested in seeing Woodlawn House restored. There is also the very important matter of making the necessary arrangements (for the visit) with the owner of the property (Mr. Michael Lally). ii) More members: there is a strong feeling in the group that it should make a serious effort to try and attract more local members. Although a number of ideas were put forward and discussed, no clear plan emerged as to how this might best be done. All members were asked to give further thought to this important matter between now and the next formal meeting of the group. It was decided at the Saturday October 6th 2001 meeting that the ONLY requirement for membership of the Friends of Woodlawn House group is this: a desire to see the property restored. www.woodlawnhouse.net - could be used for network of contacts and associates (.net). 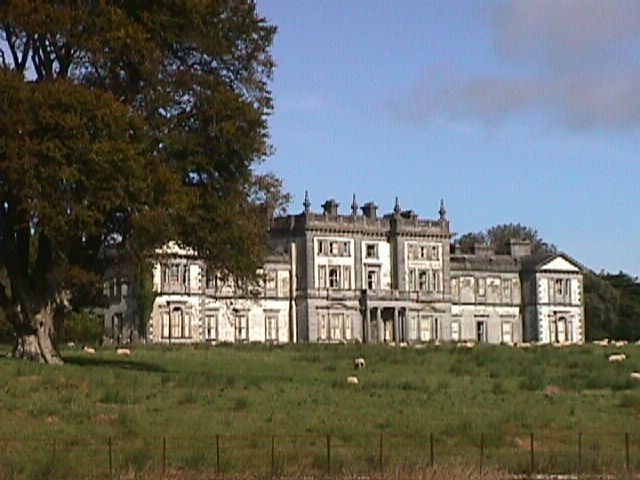 Woodlawn House, Woodlawn, County Galway, Republic of Ireland. Both of the above photographs were taken on October 8th 2001. Except for normal Internet search engine purposes, none of the electronic text (or photographic material) on this page may be copied in whole or in part for any kind of commercial use without the prior written consent of Mr. William P. Finnerty (contact information provided below).